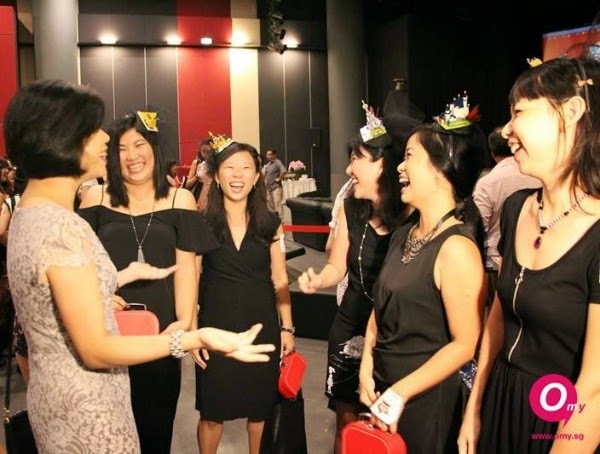 It has been a week since the Singapore Blog Awards 2014 and we have been recovering from the adrenalin rush and excitement. We did not win but had a incredible time on that day and the days leading up to it. The thrill of getting ourselves ready for the event, and the amazing camaraderie we shared, will be remembered for days to come. 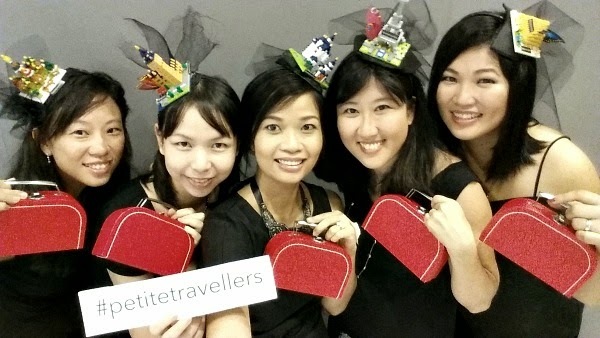 Only 5 out of the 9 of us who helm the petite travellers could be there on that day, but we hope that the representation was good enough for people to remember us! It was wonderful meeting many familiar bloggers during the awards, friends whom we celebrated with and who have been a precious source of inspiration and of support. Here's us with the women who run these blogs: A Juggling Mom, MummyWee, The Gingerbread Mum, A Pancake Princess, Prune+Nurture, and Growing with the Tans. Heartiest congratulations to Mum in the Making, who could not join us here because she was with the rest of the award winners on stage! 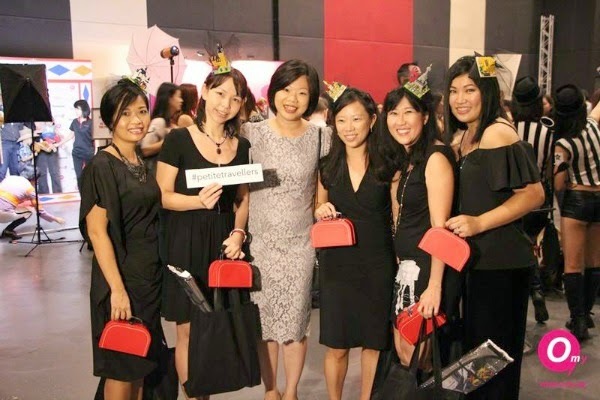 We were delighted to be invited to meet with the guest-of-honour for that day, Sim Ann, who herself is a mother of young children and was thrilled to hear about petite travellers. And what were those things we were wearing? 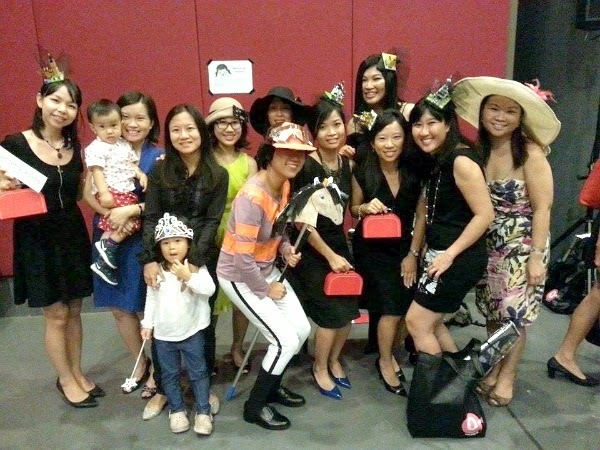 The awards had a "derby" theme - think glamourous horse races, gorgeous hats and outfits - so we really cracked our heads figuring out what we could wear. Very early on, we decided to put on black outfits and to focus on making something similar to put on our heads. 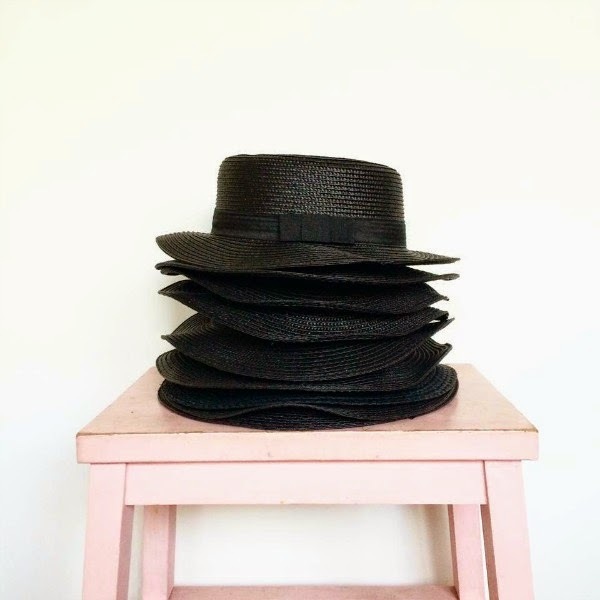 The original plan was to decorate these black hats below, but as Jasmine put it so well in her IG post here, we went through quite a journey of trial and error, and many late nights, to end up with our final landmark fascinators. And these are the five fascinators we made! 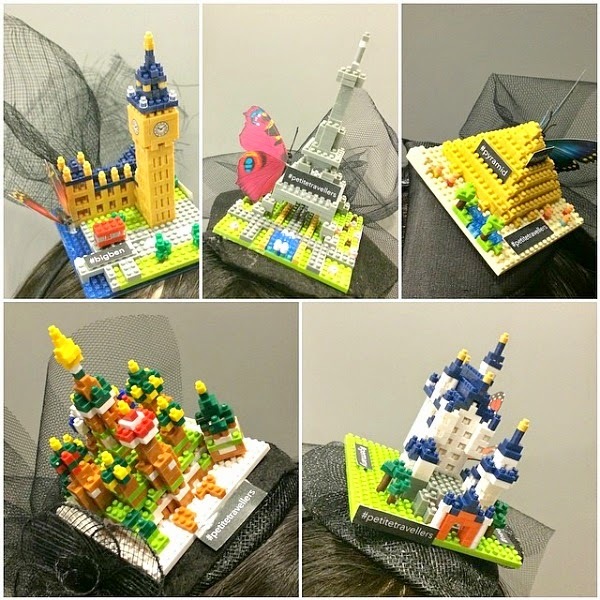 Each structure carefully constructed with hundreds of small nano blocks, before being hot glued and sewed onto hairbands together with some tulle. Corsage's original Windmill structure crashed into pieces just the day before the event. As she cried and quickly SOSed the team, we collectively decided that a windmill was just too top-heavy to be safe to wear, and a new Neuschwanstein Castle was quickly bought that day, and constructed in the wee hours of the morning. All the hard work really paid off and the end results were so very satisfying! Thank you everyone for voting for us, and for your tremendous encouragement and support. We really hope to build petite travellers into a truly useful and interesting resource for families!